Sorry, that was confusing. Translation: — .- .-. .-.. .. -. … / … .. –. -. / — — .-. … . 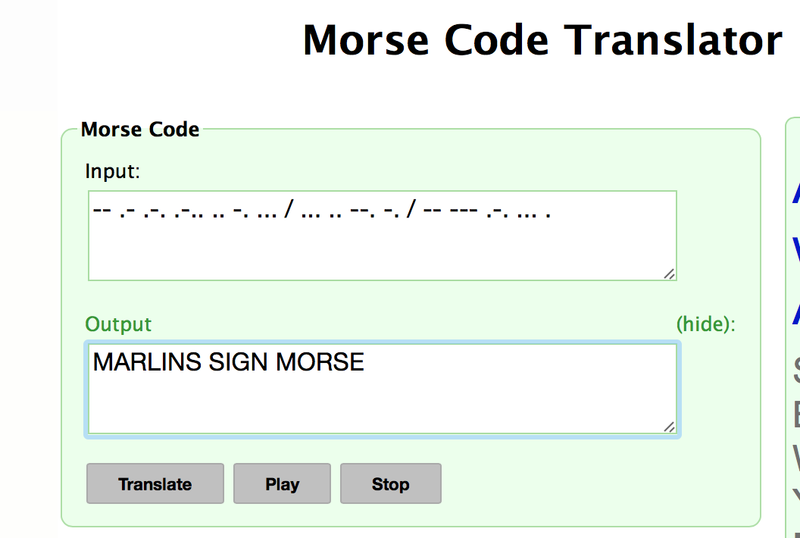 This, of course, led to confusion among the kids of today who never used Morse code. Well played, Miami. Well played.